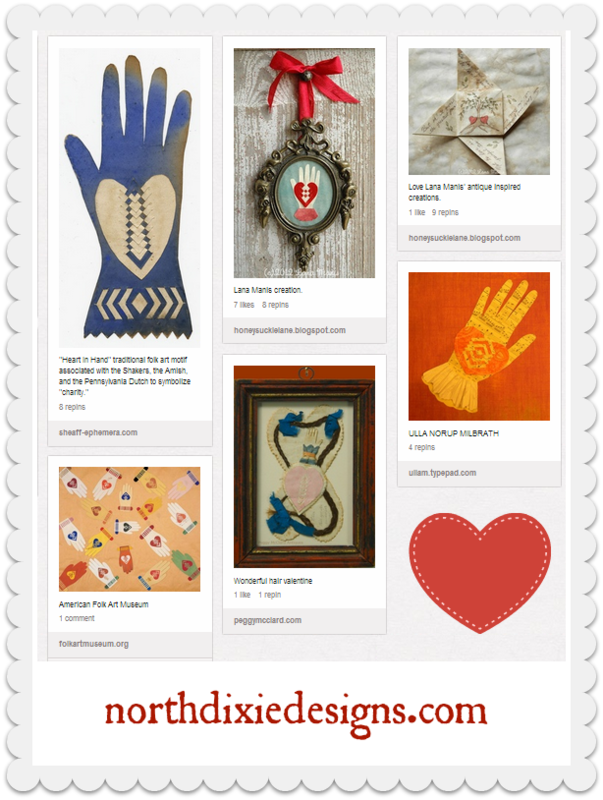 This Pinterest board of Heart in Hand Love tokens, is where I collect images images of antique love tokens. You can also find some lovely modern made ones by Lana Manis there. :-) I bought one of hers last year and love having it on my wall. Click the iamge to go to the board, and then you can click on the various examples to go to others' sites.